You can definitely call the Ficus Ginseng, or Ficus microcarpa, a summer type. It loves to camp out on your patio in sultry temperatures. 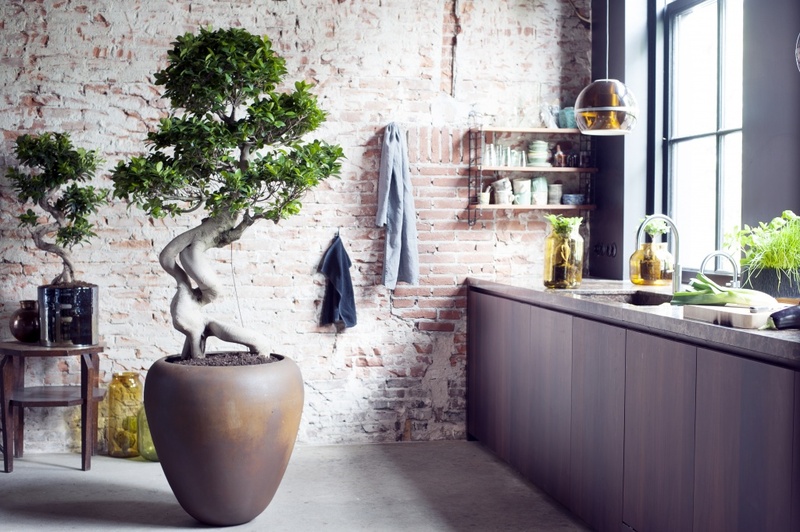 That is why this bonsai with its shiny leaves, is Houseplant of the month of July. A rough-shaped, aerial root with sturdy, oval and shiny leaves attached: we would like to introduce you to the Ficus Ginseng. 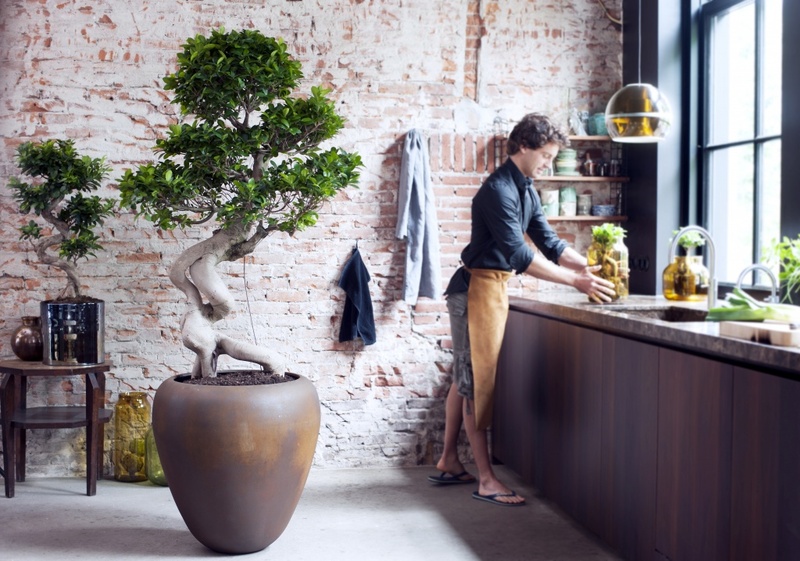 This elaborate bonsai loves to be admired and looks different from every angle. Take a good look and you will instantly feel relaxed looking at all that fresh green. 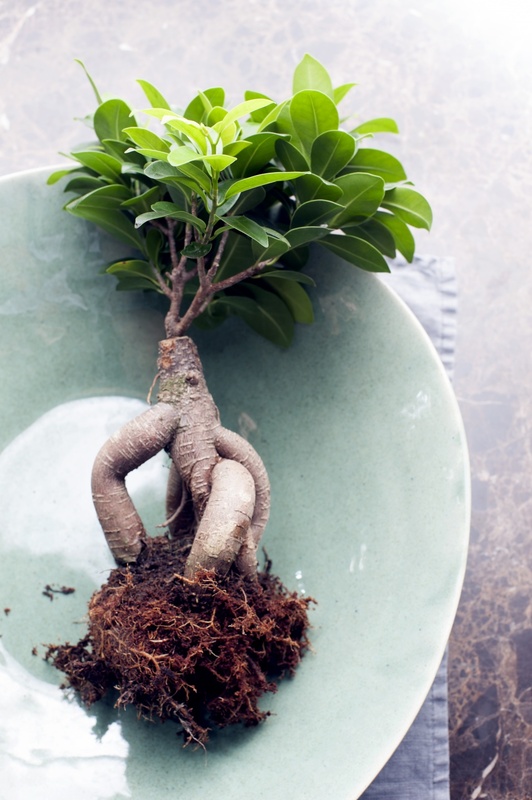 The Ficus Ginseng was originally only to be found in parts of Asia, nowadays the roots of the houseplant are being grown in China and Malaysia. These grow for about fifteen years, after which they are imported by Dutch growers. The growers then complete the growing process in the greenhouse by developing them into bonsai. 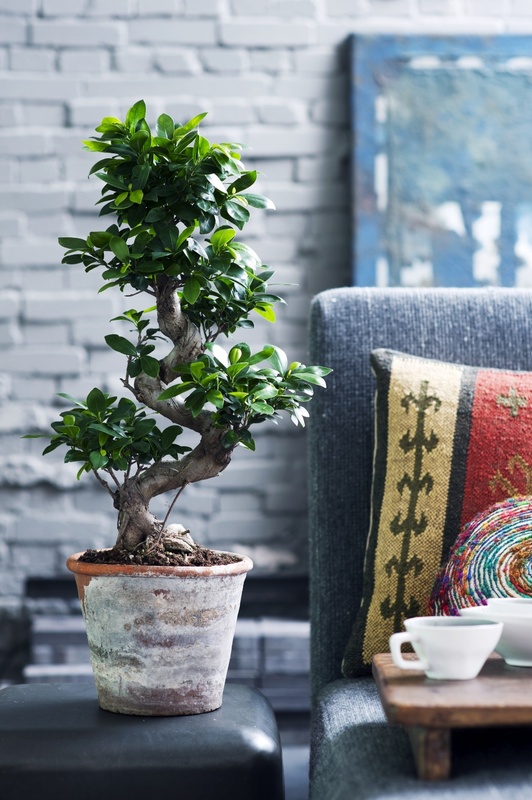 The Ficus has had quite a life already by the time it is welcomed into your home. You can enjoy your Ficus Ginseng for years to come if you: give the houseplant a moderate amount of water, in summer more than in winter. Don’t let water stand in the pot or on the saucer underneath and give it regular plant food. The Ficus can also go outdoors in the summer, preferably in the shade. The plant prefers to spend the winter in a cool atmoshpere, at around 12°C. Do you have aspirations to become a hairdresser? You can prune the plant to give it some shape. Ficus means fig. There are more than 2,000 varieties of Ficus worldwide. In the Far East, particularly China, people believe that the uniquely formed root also has healing properties. In the wild, the Ficus Ginseng can become 20 metres high. 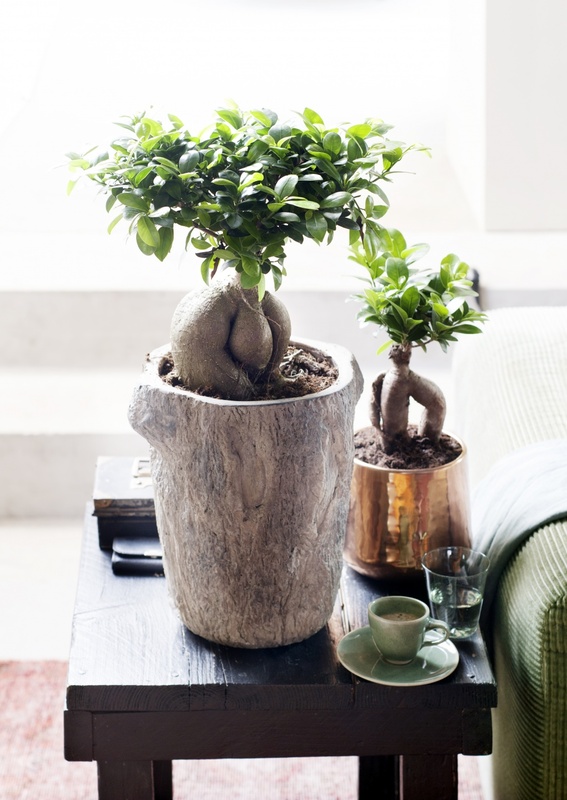 If you move the Ficus Ginseng, it will need time to get used to its new surroundings. In the meantime it may drop some leaves. You may also find the plant under the name Ficus microcarpa Ginseng or Ficus microcarpa. 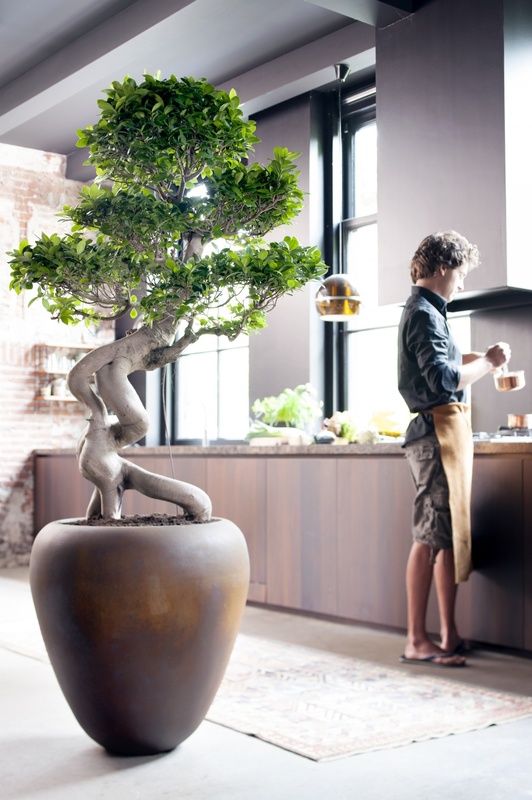 Bonsai trees originate from Japan and there is evidence that they were grown there already in the fourteenth century. Bonsai are considered a cultural symbol in Japan. 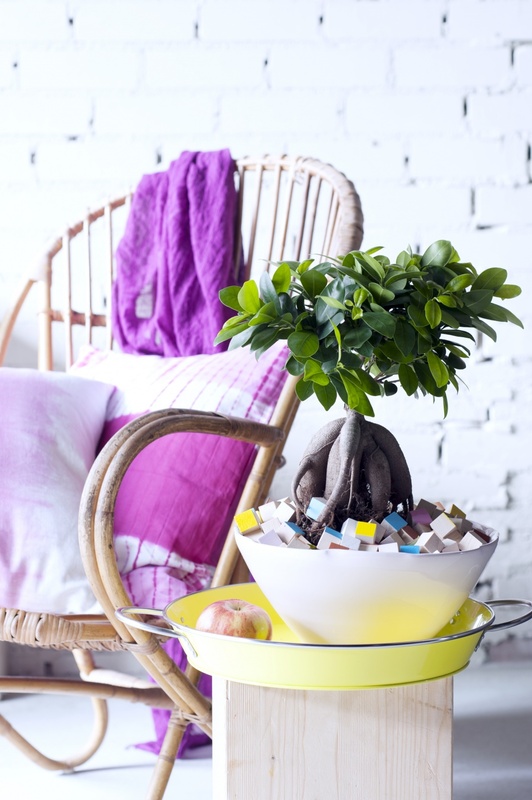 Spray the houseplant with water if the air is dry, which may be caused by central heating. 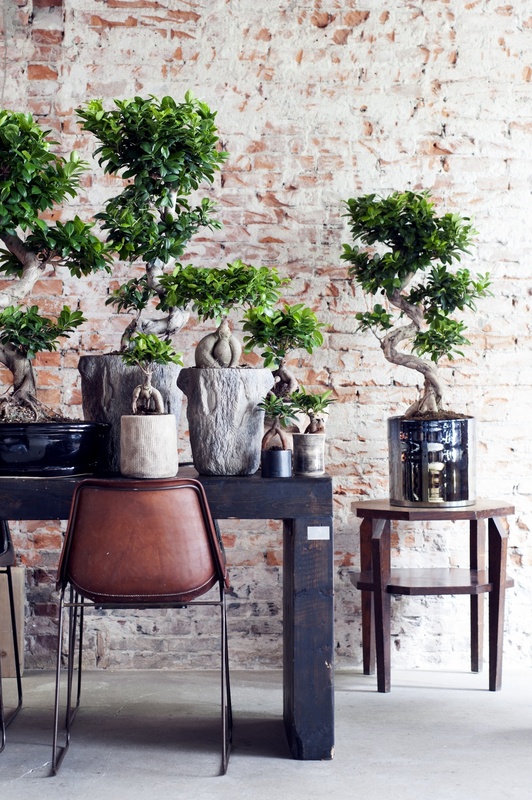 The Ficus Ginseng, or Ficus microcarpa, takes centre stage this month as Houseplant for July 2015. ‘Houseplant of the month’ is an initiative of the Flower Council of Holland. Each month the Flower Council, in collaboration with representatives from the horticultural sector, chooses a plant which is well liked by the consumer, or isn’t well known yet but has the potential to do well in the living room. Thejoyofplants.co.uk is an initiative of the Flower Council of Holland and lets consumers experience that you feel better with plants around you.